Washington, February 19, 2018 – (RealEstateRama) — House Financial Services Committee Chairman Jeb Hensarling (R-TX) sent a letter to Federal Housing Finance Agency (FHFA) Director Mel Watt on Friday demanding an explanation for his decision to continue payments to the Housing Trust Fund and Capital Magnet Fund (the Funds) in the wake of Fannie Mae and Freddie Mac’s (GSEs) latest infusion of taxpayer funds from Treasury. Hensarling is demanding a detailed, written explanation from Watt of his contradictory actions by Friday, February 23, 2018. The Federal Housing Finance Agency’s (FHFA) policy regarding Fannie Mae and Freddie Mac (the GSEs) and their payments to the Housing Trust Fund and the Capital Magnet Fund (the Funds) is deeply troubling. As you know, the GSEs reported a negative net worth at the end of 2017, which required a draw of taxpayer funds from Treasury under their Preferred Stock Purchase Agreements (PSPAs) to avoid placement by the FHFA into receivership. The requirement to continue making payments to the Funds despite their PSPA draw from Treasury directly contradicts both your 2014 supervisory guidance issued to the GSEs outlined when FHFA reinstated payments to the Funds, as well as your own Congressional testimony before the Financial Services Committee. In your supervisory letters of December 11, 2014 to the GSEs, which announced your decision to terminate the temporary suspension of Funds payments, you specifically instructed the GSEs that if a GSE “makes such a [pspa] draw during a subsequent fiscal year” that it “will make no allocation or transfer pursuant to Section 4567(a)(2)(B) for the fiscal year for which the draw was made.” Less than seven weeks later, you testified before at the Financial Services Committee’s hearing entitled “Sustainable Housing Finance: An Update from the Director of the Federal Housing Finance Agency.” Regarding your decision to reinstate the GSEs’ payments to the Funds, you specifically stated that “we put in place prudential stops if circumstances go back in the other [financial] direction. If we ever have a draw on the Treasury, that would automatically stop the funding of the Housing Trust Fund” [emphasis added]. 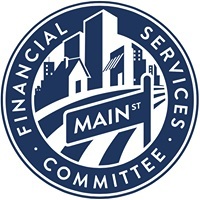 Given your 2015 remarks to Members of this Committee and the letter of the 2014 supervisory guidance you developed to justify the discretionary policy changes you imposed through your office, your refusal this month to automatically stop GSEs payments to the Funds as FHFA stated would occur following a GSE draw of new taxpayer funds is unjustifiable. Congress must have the confidence that it can rely upon the credibility of the regulators it empowers to faithfully execute their authority and provide accurate written and verbal assurances of their decisions. Otherwise, Congress cannot perform appropriate oversight of those regulators to protect the interest of taxpayers. Accordingly, I demand you provide a detailed written explanation by Friday, February 23, 2018, of how your decision to require continued GSE payments to the Funds despite the need for a new draw on Treasury funds does not directly contradict your previous written and verbal guidance from 2014 and 2015, and how the FHFA intends to limit your ability to exercise your discretion in the future so that it can establish a consistent policy on this subject that provides both clear and reliable guidance to Congress and the GSEs.